As the saying goes, “charity begins at home”, and for Bangkok’s Karma Klique, that home is the dance floor. 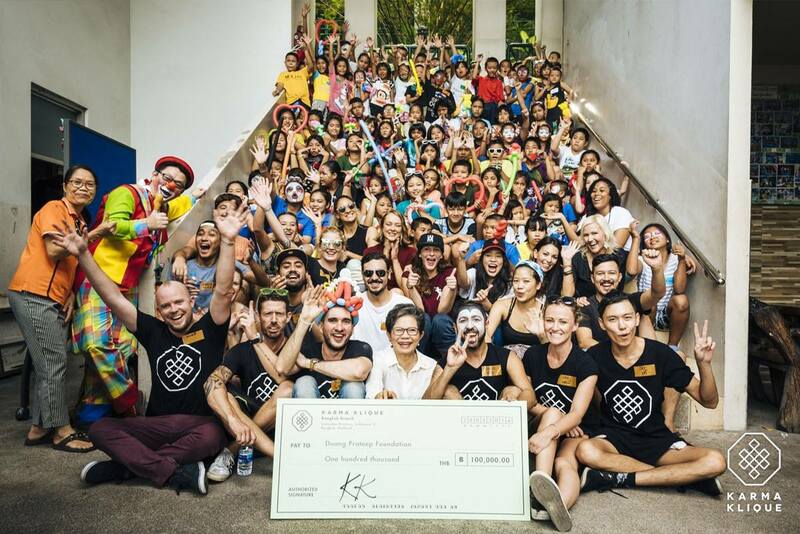 Combining both their passions for creating unique party experiences and giving back to society, the philanthropic party starters organised two mind-blowing events in 2016 that aligned with their goals. Their most recent effort, Karma Kamp, wrapped up at the end of November and saw them upping the ante with a 24-hour camping themed party equivalent to a mini-festival at a secret location outside of Saraburi. The idyllic setting was perfectly transformed into a hedonistic wonderland filled with music, workshops and nature based activities. 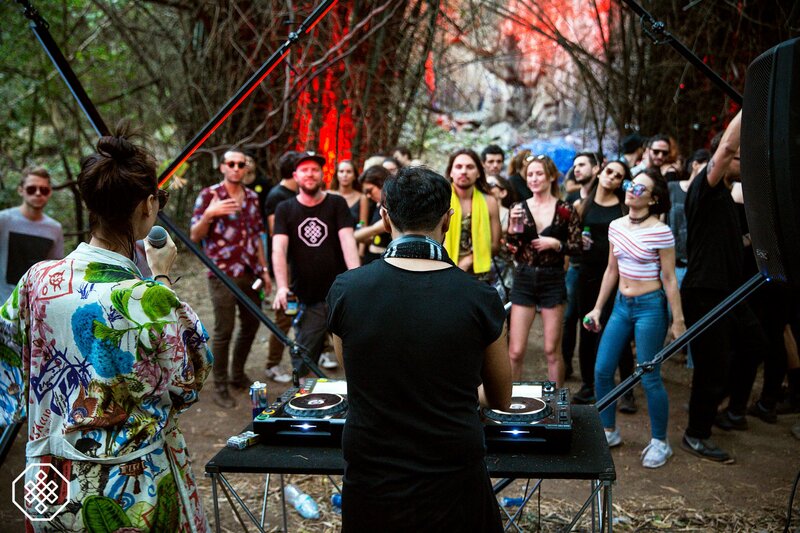 The main players in Karma Klique are individuals that come from varying backgrounds; introducing Dani Yard-Young, Johan Vandebeek, Lukas James, Guillaume de Maquillé, Taychin Dunnvatanachit and Bangkok-based DJ and producer, Sunju Hargun. To date, the collective has successfully raise funds and participated in worthwhile activities for the Warm Heart Foundation, the Duang Prateep Foundation and Khlong Toey Music Program. “We are basically a group of friends looking to do something different in the scene,” Yard-Young explains. “Since we like to party, we were thinking of how we can continue doing so and give back to society at the same time,” she continues. Despite their noble intentions, they have drawn a few frowns on their charitable concept of partying. Some have expressed their dismay at combining the act of philanthropy with dancing and drinking. But any negative feedback hasn’t affected their spirit of giving. 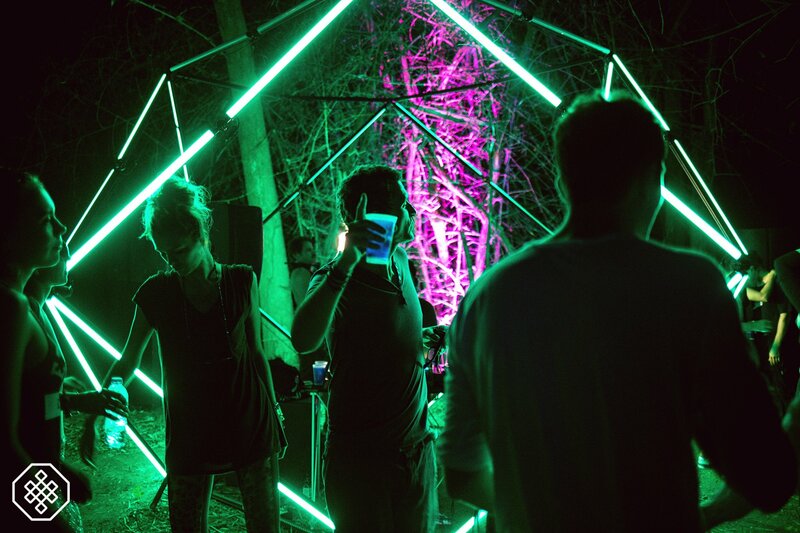 Knowing that they are giving party punters unique experiences while creating a positive atmosphere each time is what drives the collective to raise its own bar. Breaking milestones, however, isn’t about making the parties bigger than they already are. “We’re not looking to do massive events for two thousand people. We want to create intimate experiences with 300 people where you know it’s going to be good,” Yard-Young says. It’s all about creating a space where punters will enjoy themselves without the need for thousand-strong crowds. Though it makes sense to accommodate more people in order to generate more donations, they are a collective who likes to keep things small and intimate. “There’s more love when there are fewer people,” says Sunju. 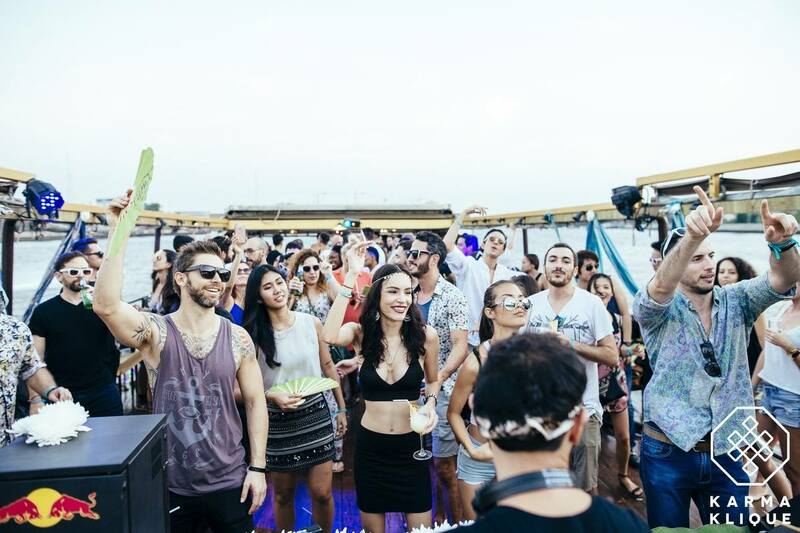 “When we did the boat party we only had around 250 people and I have to say that as someone that has been doing events for quite a while, I have never seen such a tight knit group of party people before,” he exclaims. The idea of throwing bigger parties has arisen more than once whenever the collective meets but, in the end, they gravitate to the smaller scale events. It isn’t the masses that they are targeting. The Karma Klique crowd consists of young professionals; people who are established in their own rights and who just want to have a good time. Ultimately, their reward is putting a smile on someone’s face – be it their audience or the less fortunate people that they aim to aid. “Karma came from the concept of giving back and for me, it is my motto for life. I’ve had experiences where bad karma comes back to me for the silly things that I have done before and I strongly believe in good karma,” Yard-Young explains. The clique that they have formed is a complete circle of individuals that have different skills to offer. They each have their own specialities and treat their project with dedication despite it being just a side activity. “It’s just a way for us to do something we know and love so much and in the end we know we will be making someone’s day,” Sunju says. The collective isn’t the only one that gets satisfaction from their stellar efforts - even the participating DJs get a sense of high from being part of Karma Klique’s events. None of the acts that were hired for their events were paid; they willingly gave their services for free in the name of charity. California native Lando was actually in Thailand for a holiday when he met up with Sunju and the Karma Klique crew last year. When he learned about the concept of their event he immediately wanted to be part of the plan. “He played for no fee, in fact none of the DJs are paid for their participation because they believe in what we want to achieve,” Sunju explains. The way they see it, being associated with their brand will give sponsors and partners positive feedback from their consumers. At the end of the day, it is a win-win situation for all involved in a Karma Klique event, and the biggest winners of course are the foundations they have donated to. Karma Kruise successfully generated BHT 100, 000. While the money was donated to the Duang Prateep Foundation and Khlong Toey Music Program, they also organised a field trip to spend the day with the children there. “We gave the kids a day they have yet to experience. We had dance classes and had face painting activities. The point of all this is also to get personally involved,” Sunju says. “It’s not just about giving a pay cheque. What could happen with that money? We want to make sure that it’s going to a good cause and at the same time give them a reason to smile about,” Yard-Young chimes in.